MiEN THX Adjustable Computer Table 66x30"
Having a lab full of attractive computer tables will make a big difference to students who need a space to do research or write papers. THX Adjustable Computer Tables from MiEN fit your students and your space. Their practical design creates a functional work area for your school or office. A telescopic adjustable-height frame and contoured work surface provide a healthy fit, with a selection of sizes to accommodate your needs. These sturdy computer tables provide an open, organized workspace. Two grommets work with horizontal and vertical wire management to route cables to a proper power source. 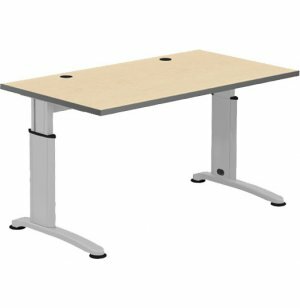 A support beam underneath the tabletop provides enhanced support. This straightforward contemporary style is great for any computer lab or training room. Adjustable Height: Telescopic frame adjusts to set work surface at desired height. Wire Management: Includes 2 grommets as well as integrated horizontal and vertical cable management in legs and support bar. 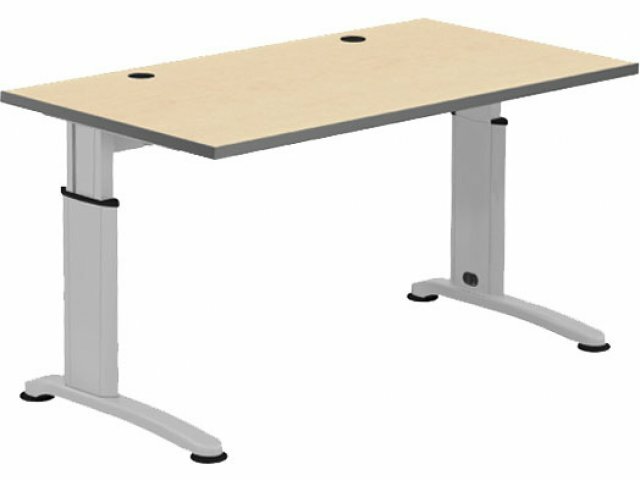 Strong Frame: Support beam connects legs and provides superior support to tabletop. Comfortable: Contoured work surface edge enhances comfort and provides better access.